The Prop Den • Next Black Series Helmet: Vader? Next Black Series Helmet: Vader? 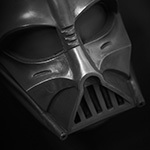 Post subject: Re: Next Black Series Helmet: Vader? Shrink the chin vent, straighten the sides of the breath mask, reduce the downward slope along the upper cheekline from the nose to the outside points of cheek. Then it would look great. The greeblies look a lot like those in the Riddell .45 scale helmet. Looks like a conversion between an Altmans and a Riddel scale helmet. Not really my taste, but i'm sure a a lot others will like it. Still makes me glad and feeling fortunate for what I have. These look like artistic renderings rather than actual product prototypes. That said, yeah, the shape of the cheeks need some serious work, lol. Keeping in mind that this is a toy and not a "prop replica" I would have KILLED to have something like this when I was a kid. Heck, I still love my old Don Post mask, lol. I'll probably end up getting one for my Vader collection. There is a physical proto type that I saw on the RPF thread. Its identical to the photos. Hasbro is keeping the Altman look alive! They wont be seeing my money on that helmet if its the final look. I also saw the video posted on the RPF from HASBROCON. Retail price target said to be $99. They did show off some interesting features. Normal breathing sounds when worn with all 3 pieces connected and labored breathing sounds when wearing only the bottom reveal piece. And a vaccum suction and thump sound when the dome is attached. These sound features and reveal greeblies are all well and good, but the overall look is, well, bantha poodoo! The Hasbro reps did say this helmet was specifically bring used for product testing and intrgration purposes, not the final configuration. I hope it isn't! Any release date set on this helmet yet? It looks awful, the plastic EFX is amazing by comparison. If i would be 6 year's old...i'm sure i would call it awesome. But as i'm not....move along. I think that's a perfect summation, Turrican. 6 year olds everywhere will be excited. The rest of us shake our heads and think of what it might have been. We are getting closer to the release date of this helmet and it still has the same horrid badly done sculpt that looks like a half brain dead person sculpted it. Im very disappointing in Hasbro with this helmet. Their other helmets have been fairly true to the originals. The down side to that is since the helmet is suppose to be 1:1 how can they wear it? LOL I think Hasbro botched this helmet up to hell and back. 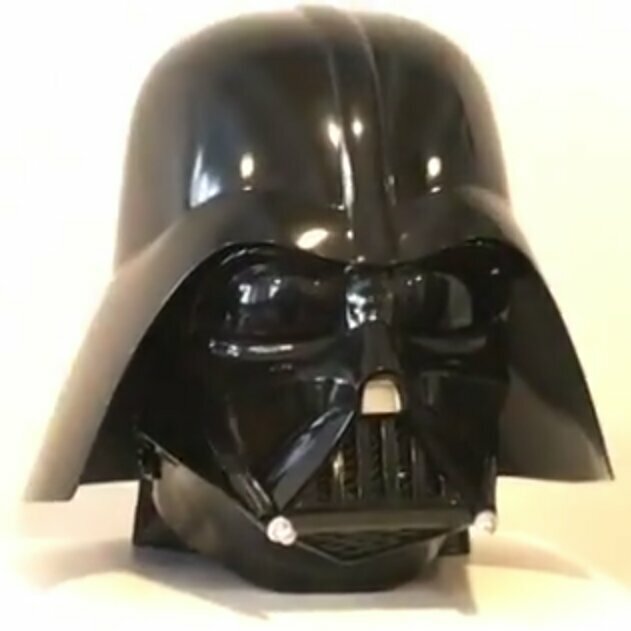 prop replica lol https://www.ebay.com/itm/Star-Wars-The- ... SwGBdaqwkY there is a possibility that Vader is in the new Solo movie.